Sportsmen can obviously identify with the need for rapid recovery, and hydrotherapy accelerates the healing of injured or hard exercised muscle tissue. 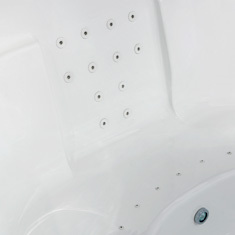 (Research has shown that hydrotherapy is more effective than infra-red lamps and heat pads). Long-term bed patients with circulatory problems benefit most through hydrotherapy stimulating the body cells. Lymphatic fluid reaches the cells more quickly, which means that minerals and vitamins from food reach their destination sooner.The removal of waste products and toxins is accelerated. There is another side to hydrotherapy which cannot be evaluated scientifically and that concerns the effect on the mind. The cares of the day and tensions float away leaving a wonderful feeling of well-being. The luxurious, swirling, warm water holds you captive, helps build relationships, encourages togetherness and forces you to relax. Summer Place Spas and Baths, South Africa’s premier manufacturer of spa baths, jetted baths and steam cabins since 1968, has recently unveiled their new and improved range of water jets to be used in all their hydrotherapy products. 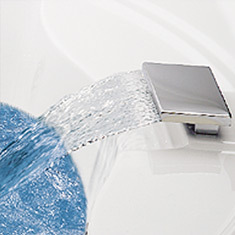 The patented Summer Place Centre Air Induction Jets have long since been considered groundbreaking for their ability to deliver a comfortable, yet deep penetrating hydro-massage via a jet stream of water combined with air. 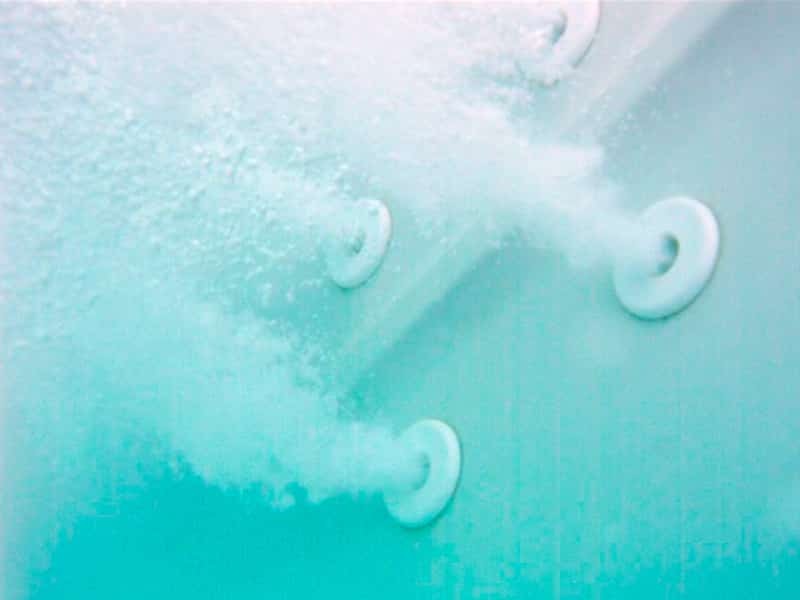 “The air serves to soften the force of the water – dispersing what would otherwise be a penetrating and uncomfortable stream of water”, explains Glenn Varrie, Marketing Director of Summer Place Spas and Baths. These state-of-the-art jets are used in all Summer Place Spas and are acknowledged world wide as the jet design that delivers the most effective deep tissue massage of any spa jet on the market. “Due to the air being induced into the centre of each jet the system allows for three times more air flow than any other jet on the market”, Varrie says. Building on the success of this design, the following jets have been introduced to offer an even more effective and relaxing spa experience. 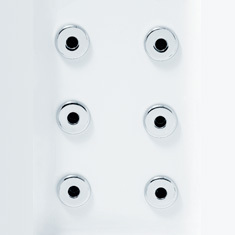 These jets deliver a fingertip type pressure and are clustered together in groups of 6 – 14 at a time to provide shiatsu therapy to as larger an area of the user body as possible. With its modern new chrome finish delivers an impressive 130 liters of water per minute with a correspondingly massive air flow. Para spinal muscles and meridian flow channels. A merging of Japanese custom and Chinese culture resulted in a method called Shiatsu, or “fingertip pressure”. When practiced correctly, Shiatsu can restore and maintain the equilibrium and rhythm of the body’s energy flow. These Micro Jets are designed to do just that at variable pressure. Quick recovery and supple massage at variable water/air pressures. 150 litre per minute flow rate for firm, wide area, deep sport’s massage to hamstrings, thighs, calf muscles and quadriceps.